Buy Yourself Flowers – You Deserve It! https://bouquetbox.ie/wp-content/uploads/2018/05/SubscriptionFlowersFloristIreland.jpg 477 580 Cindy https://bouquetbox.ie/wp-content/uploads/2017/10/Bouquet-Box-Logo.png Cindy2018-05-28 15:26:552018-08-28 13:36:07Buy Yourself Flowers – You Deserve It! What Does Your Favourite Flower Say About You? 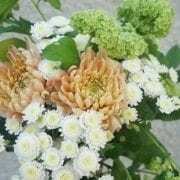 Here at Bouquet Box, we find that the majority of our subscription flower clients are true lovers of nature and fragrant flowers and blooms. Have you ever wondered why your favourite flower is your favourite flower? 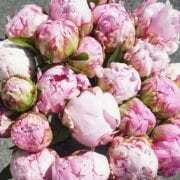 Why you prefer roses to peonies? What many people don’t realise is that we tend to favour the one flower that best complements our personality. 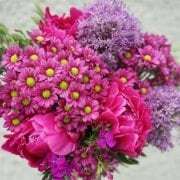 Different flowers symbolise different traits, meanings and emotions, and many theorise that a person’s flower preference indicates that they are most like the associated attributes of that flower. 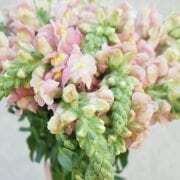 For example, if your favourite flower is the carnation then you will have a noticeably different personality than to someone whose favourite flower is the orchid. Many of us will never have stopped to consider what our favourite flower says about our personality and relationships with others. Read our guide below to find out what your favourite flower says about you! Is Your Favourite Flower The Rose? Is your Favourite Flower The Daisy? Is your Favourite Flower The Carnation? Is your Favourite Flower The Tulip? Is your Favourite Flower The Orchid? Is your Favourite Flower The Violet? Is your Favourite Flower The Gardenia? Is your Favourite Flower Baby’s Breath? Is your Favourite Flower Lilies? Is your Favourite Flower Sunflowers? 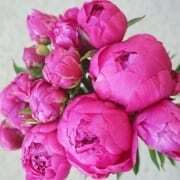 Is your Favourite Flower Peonies? So many of us just love flowers! We admire their varied colours and shapes, enjoy the way they smell, and give them to those we love. Flowers are an easy way to put a smile on someone’s face — but there’s actually a scientific reason they make us feel so good: Studies have shown their presence elicits joyful feelings. “Science shows that not only do flowers make us happier, they have strong positive effects on our emotional well-being,” says Jeannette Haviland-Jones, a professor of psychology at Rutgers University who has studied the impact of blooms. 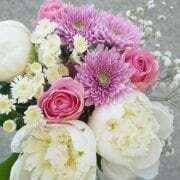 Flowers can also improve your physical health. 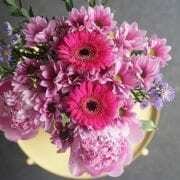 Researchers have found that flowers at home change people’s environment and create a more positive attitude toward life. Would you love a regular fresh flower delivery right to your door? For only €20 per beautiful bouquet, we deliver to homes and businesses across Ireland. 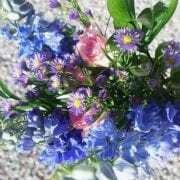 https://bouquetbox.ie/wp-content/uploads/2018/05/FlowerSubscriptionsIreland3.jpg 477 580 Cindy https://bouquetbox.ie/wp-content/uploads/2017/10/Bouquet-Box-Logo.png Cindy2018-05-14 15:18:332019-01-21 11:28:22What Does Your Favourite Flower Say About You? 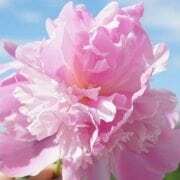 What does the Peony Flower mean? https://bouquetbox.ie/wp-content/uploads/2018/05/FlowerSubscriptionsDublin-1.jpg 477 601 Cindy https://bouquetbox.ie/wp-content/uploads/2017/10/Bouquet-Box-Logo.png Cindy2018-05-14 14:47:432018-08-28 13:53:02What does the Peony Flower mean?